Sinclair Dress in Silk Chiffon. 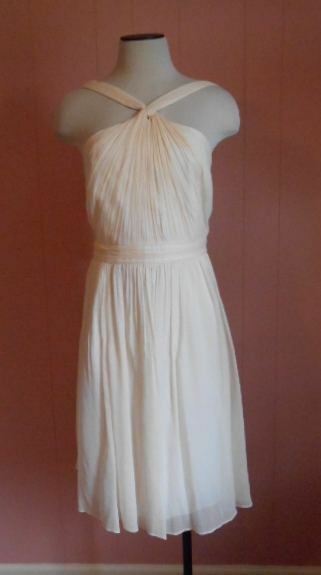 A glamorous floaty dress in delicate crinkled lightweight silk chiffon. Featuring a dramatic halter neckline which forms a twist with the solid shoulder strap, weaving its way through a small keyhole at the clavicle.